For some, the digital divide simply needs a translator -- Speaking English comes very natural to most of us. But let us face it; we have had many years of practice in learning how to get our points across. Ordering coffee on our way to work, relaying messages to our co-workers or debating today’s current events with our friends are all fairly simple tasks. But imagine you woke up one morning and found out the meaning of every word in your vocabulary had changed. Coffee no longer means coffee; it means whisky. Imagine the look on your barista’s face, when you order a large “coffee” with half-and-half at 8 a.m. This strange new world would leave you confused and frustrated until you were able to adapt to and learn the new language everyone else found themselves speaking with impunity. And as technology advances to a point only imagined just a few decades ago, many people out there are seemingly feeling the same kind of frustration. For many of us, using a computer comes almost as natural as speaking English. 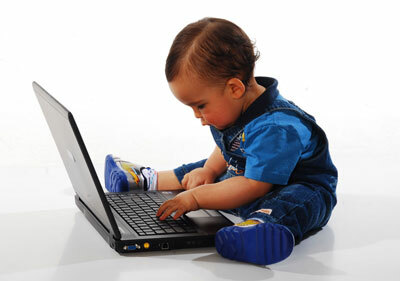 Recent generations have been lucky enough to learn computers from a very young age in school or received training in the workforce as their employers began adopting computers heavily into the work environment. But how easily we forget just how recent a phenomenon is the mass use of computers in our daily activities. For many Seniors and Boomers, computer use was not a necessity to experience challenging, rewarding careers or to maintain an independent and productive life. This generation functioned with little inconvenience in researching information with encyclopedias, looking up businesses in the phonebook, filing for credit and filling out official documents by hand, reading the news in the paper delivered to their front door, and taking their film to the drug store for development. As the next generation was becoming digitized, this generation remained comfortable using the mediums they were raised on. And why wouldn’t they, the information they needed was still easily obtained using the familiar ways. But as more and more businesses and government agencies try to cut costs by substituting mail and live people for electronic documents, as encyclopedia publishers can no longer compete with Google, as film manufacturers turn to making digital cameras and SD cards, as local newspapers shut down their presses for online-only content, and as phonebooks are swapped out for Facebook, the generation that mothered some of the most fantastic advances in technology are finding themselves forced to move into the digital world. And here is where the problem lies: desktops, menus, files, plugins, documents, bugs, bootstraps, cookies, viruses are just a few of the words that meant something completely different 25 years ago than they do now to frequent computer users. Consequently, for those whom have spent a large portion of their lives speaking the language of computers, using today’s machines comes very natural. But as the modern day computer is widely built as an extension of our office, to those whom have never had the need to use a computer in the past, learning such technology can often be a frustrating process that feels anything but personal. Quite frankly, learning a new language is much easier if you have a translator. And that is precisely why we made the Telikin. We took the technical jargon and complicated interfaces associated with traditional computers and simplified them into an easy-to-use, intuitive, touch screen system that takes little effort to learn to navigate. We backed it with our top-rated Support staff, which is trained to translate techno-speak into relatable, retainable information that is easy to comprehend. We have made it our mission to make computers truly personal and help those who would otherwise be left behind stay connected to the world and the ones they love. Our critics often ask us: Why a computer for Seniors? Do you not think they are intelligent? I like to respond: Do you find an American vacationing in China who cannot speak Mandarin unintelligent? It has nothing to do with intelligence. Einstein would likely be lost if given a laptop and no guidance today.